Teachers across the district are engaging students and providing enriching lessons that extend learning beyond the classroom walls. Take a look at the outstanding work of our teachers and students in Shaler Area School District. Creativity. The program expanded in the 2016-2017 school year with another $20,000 grant from the Center for Creativity to fund Project Caboose, which focuses on Kindergarten and first-grade students. The IKS Titan (Infinity Knights Ship) is a classroom-simulator learning environment housed at Shaler Area Elementary School. Students are able to fully immerse themselves in critical thinking, problem solving and collaboration while applying content from their classrooms to the mission. The IKS Titan launched in the 2012-2013 school year with the financial support of an $80,000 grant through the Grable Foundation and the creativity of Dream Flight Adventures. into a center-based, interactive music space for students in Shaler Area Elementary School. 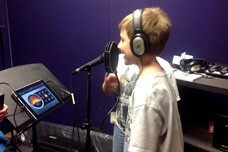 The Music Speaks classroom includes spaces for instruction, dance, writing, iPad use and a recording studio. Shaler Area Middle School seventh-graders explore the areas of science, technology, engineering, arts and mathematics in a nine-week STEAM 7 exploratory rotation course. The course gives students the opportunity to learn more about each of the fields and corresponding courses, which they can take advantage of in the high school. Eighth-graders have the option to take the STEAM 8 elective, a semester course, which builds on the fundamentals and combines students’ critical thinking skills and innovation. The Shaler Area High School STEAM Advisory Board is an organization of Shaler Area High School Teachers dedicated to preparing students for successful careers and advanced study in a dynamic, technology-based, global environment. 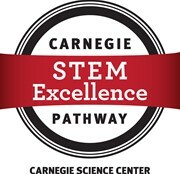 The Shaler Area High School STEAM Advisory Board provides opportunities throughout the year for students to explore STEAM subjects outside of regular classroom instruction. The STEAM Freshman Forum is a concentrated course focused on defining STEAM, exploring engineering fields and continuing along a path toward a strong background in STEAM-related content for ninth-graders. The STEAM Freshman Forum started in the 2015-2016 school year with a cohort of about 80 students from the Class of 2019. High School students have the option of choosing from several key Areas of Concentration designed to guide students in course selection during their high school years. Each area is aligned with specific examples of S.T.E.A.M. careers so that students can gain a sense of those fields and the necessary skills needed for success. Students need to apply for a specific Area of Concentration during the third quarter of their senior year, and a team of administrators and guidance counselors will review the application and issue the advanced certificate to successful applicants. through fun, hands-on sessions during the weeklong Shaler Area Summer STEAM Camp. Students can choose from sessions that range from robotics to dance.